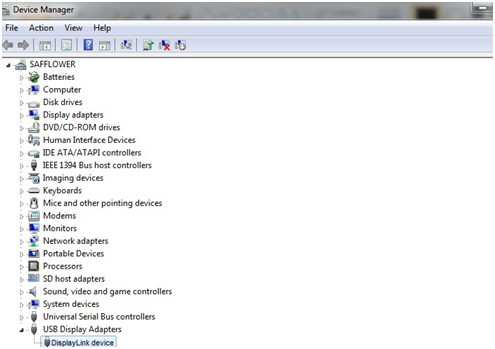 Whenever a DisplayLink device is connected to a PC, the DisplayLink UI is available in the system tray. It may be desired to hide this UI to prevent users being able to change configuration settings. This article covers how this could be done. There is no public interface to disable the UI, however it can be hidden by following the steps below. Note, this involves using Regedit and should only be done by an experienced user. Right click on the DisplayLink device and select "Properties". Click on the "Details" tab and select the "Hardware Ids" Property. Under here are a number of keys eg 0100XXXX, where XXXX is the PID. Copy or rename one of these key entries to create a new entry under PIDs, setting XXXX to match the PID of your device.Under the new key, open the "Branding" key and find the "UIGroupingName" string. Change this string to be blank to hide the DisplayLink UI for this PID. 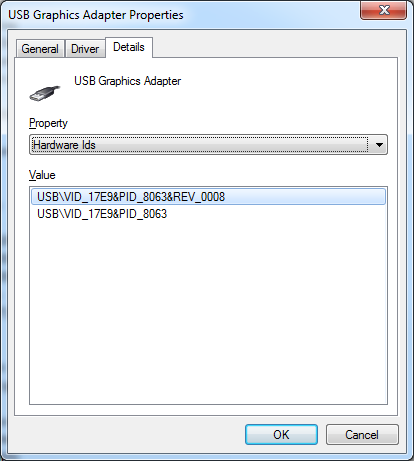 Restart the DisplayLink service and the UI should no longer appear when a device with this PID is connected. Repeat the steps above for any additional PIDs.